Inject some oomph into your output. Every second your production line is down, you’re losing money. Downtime may even make you miss your output targets. It’s vital to repair equipment faults ASAP, but people without troubleshooting training waste precious time using trial and error, often replacing expensive parts unnecessarily. 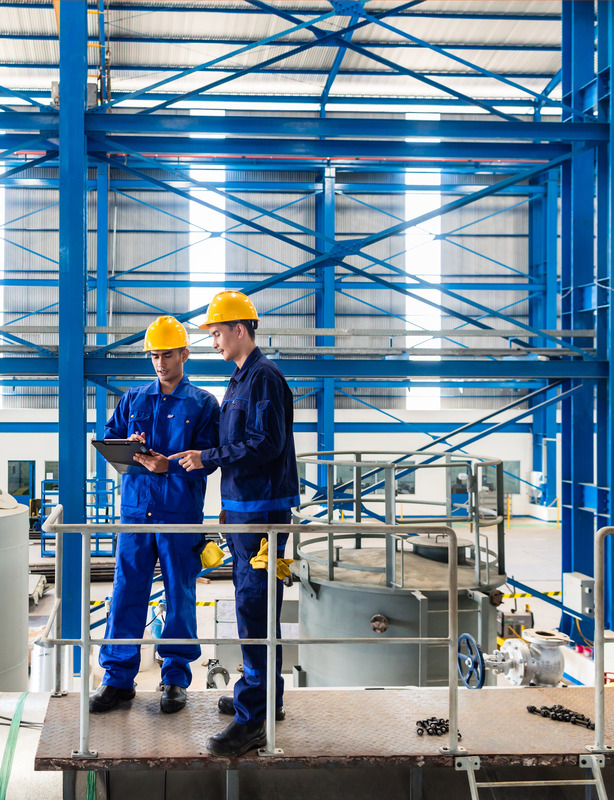 Maintenance professionals with proper training can troubleshoot problems quickly and effectively, ensuring the smooth automation of your production line, so you can reach your output goals. Even experienced staff can feel overwhelmed by the complex electrical component of modern plant equipment. If you can’t find them, train them! Simutech Multimedia solutions let you give your professionals the skills they need. TSTS teaches a proven method for quickly, accurately, and safely repairing failures in electro-mechanical circuits used in plastics and packaging assembly line equipment. Recalibrate your maintenance force with simulation training. 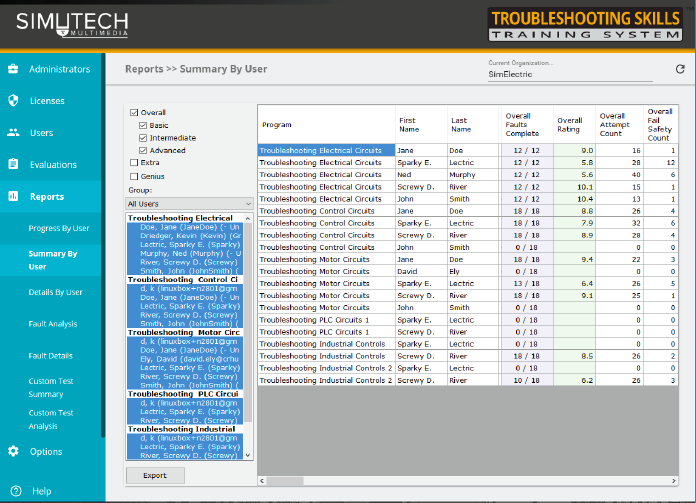 simulation-based electrical troubleshooting training system in the industry. in plastics and packaging manufacturing. Trim maintenance inefficiency during uptime. Simulation-based troubleshooting training increases maintenance professionals’ knowledge of how machines work. It also grounds them in industry best practices. Even when you’re not experiencing downtime, sound troubleshooting training benefits your day-to-day proactive maintenance programs, and may even decrease the number downtime incidents. Fewer equipment failures mean less overall collateral damage to machines, so they can continue to work for you. Put your own stamp on plant reliability. Keep your production line running smoothly and you’ll keep your customers happy further down the supply chain. TSTS administrators know who the star performers are, so they can be deployed strategically to keep the supply chain moving without a hitch. you who’s ready to go live, and who still needs more practice in certain areas. Simutech Multimedia: A comprehensive training solution right out of the box. safer workplace, all wrapped up in one tidy package. Reduce your downtime costs and meet your production quotas. Ensure your professionals know what to do the moment the production line goes down. Keep your supply chain running smoothly and deliver on your promises. Create a safer workplace with trained staff who know how to prevent accidents and injuries. 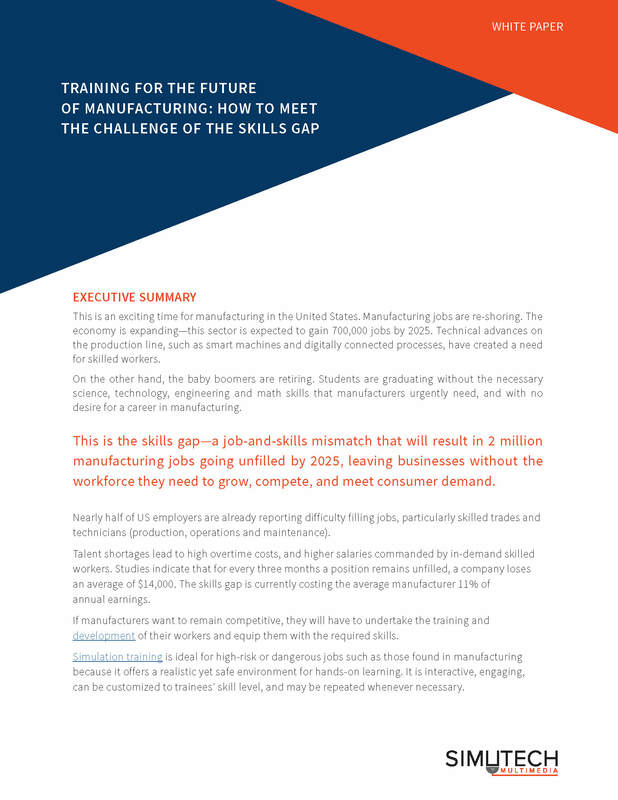 Beat the talent shortage and train your own professionals faster—with cost-effective skills training that’s easy to administer.